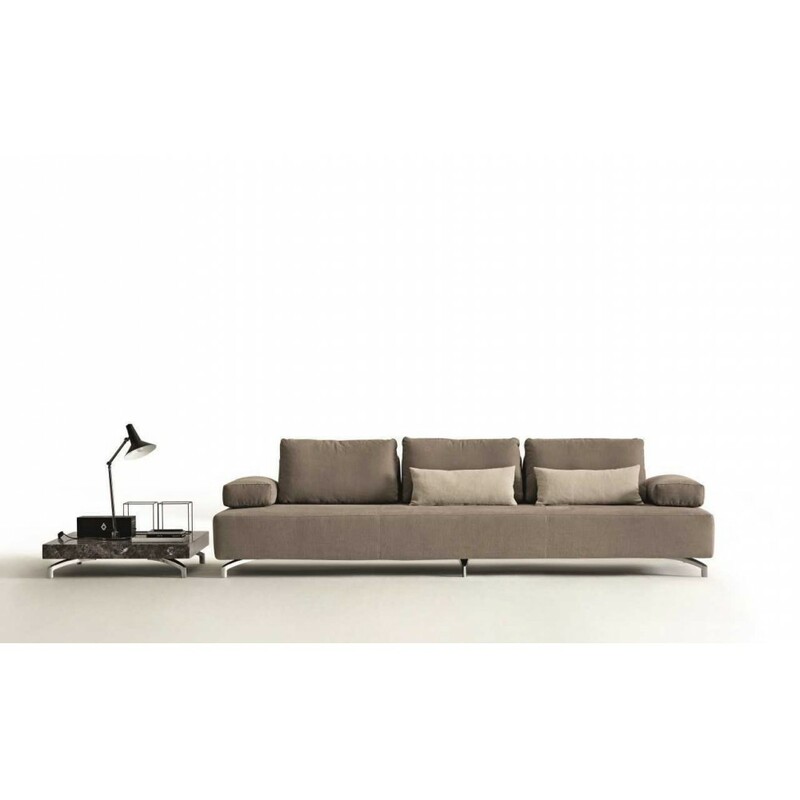 Fly Light Sofa by Dema (design G. Gualtierotti). 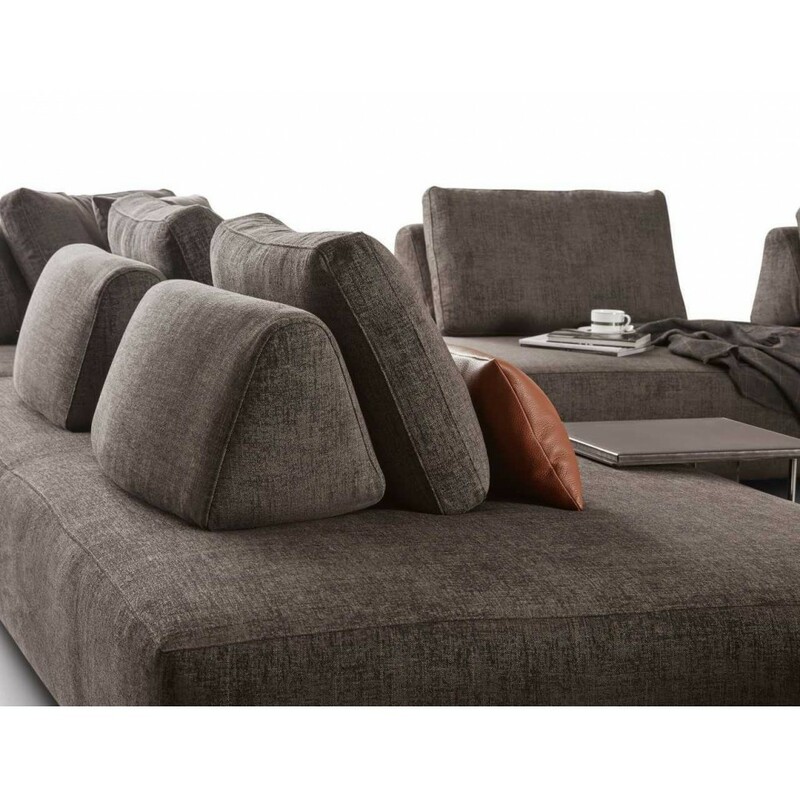 Dema produces highly technical sofas, of great looks and personality using extremely hardwearing materials. It is a leading company both in Italy and abroad for top quality upholstered furniture, with unique and innovative ideas. All upholstery components are made using state-of-the-art machinery after which they are superbly finished by our expert craftsmen. The structural element in Demas's "sofa project" is tubular metal which is both sturdy and lightweight. 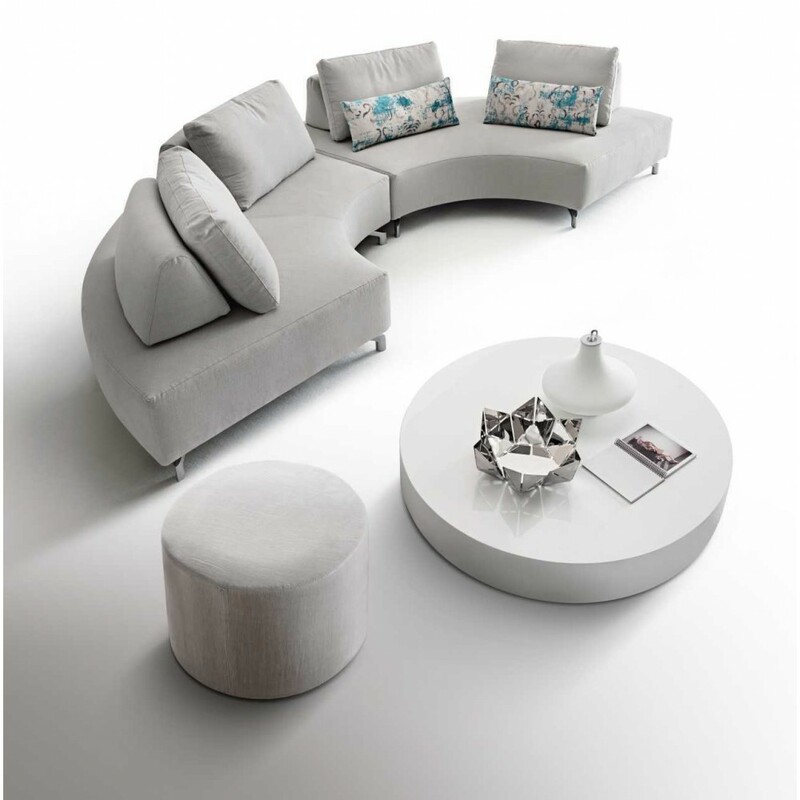 Dema's ultimate goal in any of its sofa design is the concept of total comfort and true relaxation-the primary function of any sofa. Internal frame in painted metal, guaranteed for 10 years. Padding in expanded polystyrene with varying density. Lower upholstery in backed acrylic fibre. Quilted armrest in expanded polystyrene, with certified goose down filling. 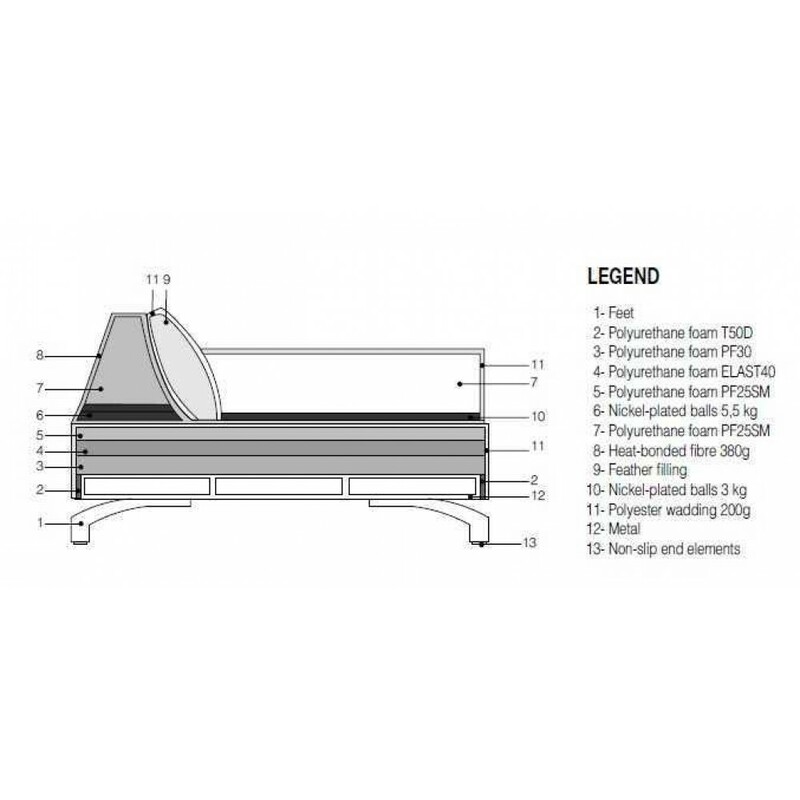 Trapezoid backrest in expanded polystyrene, containing a series of nickel-plated spheres which remain stable and in any position they are placed. The back cushion is filled with goose down in baffle boxes. Feet in polished aluminium with non-slip pads in clear thermoplastic. The covers in fabric or leather, are fully removable. Over time, the seating will acquire a softer, more ‘lived in’ look, which means that a slight ripple effect in the upholstery should be considered totally normal.